There were two Nancy Davises in Hollywood in the early ’50s. One ended up in the White House—the other one ended up flipping burgers in a snack bar. EDITOR’S NOTE: Jon Wiener’s original story was "The Other Nancy Davis: Not Necessarily the First Lady." The Nation, October 3, 1987. Nancy Reagan, who died March 6, often explained that she and the future president met cute. She had been threatened with blacklisting in the early ’50s—by mistake, she said, after having been confused with another actress who had the same name—Nancy Davis. The other Nancy Davis, Nancy and Ronald Reagan said, really was a Communist. Reagan, then president of the Screen Actors Guild, helped the first Nancy prove she wasn’t the Communist Nancy Davis, and she was able to work again. Along the way, they fell in love, and the rest is history. Ronald Reagan wrote in his autobiography, Where’s the Rest of Me?, that because his wife-to-be was assumed to be the other Nancy Davis, “her name kept showing up on rosters of Communist front organizations, affixed to petitions of the same coloration, and her mail frequently included notices of meetings she had no desire to attend, and accounts of these meetings as covered by the Daily Worker.” Nancy Davis Reagan was asked by Columbia Pictures to explain why her maiden name appeared on the amicus curaie brief supporting the Hollywood Ten. Ron, who was SAG president at the time, wrote an indignant letter to B.B. Kahane, Columbia vice president in charge of security, explaining that there were two Nancys, and that the other one was the Communist. Kahane’s letter to Nancy contained one striking admission: The studio recognized that not all supporters of the Hollywood Ten were Communists or “sympathizers.” This included the Nancy Davis who had signed the brief. 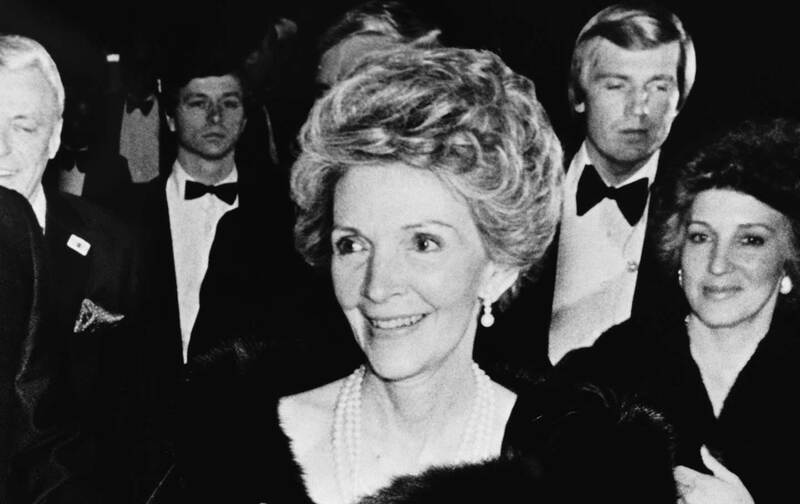 Nevertheless, Nancy Reagan repeatedly described the other Nancy Davis as a Communist. Thus there were two Nancy Davises in Hollywood in the early ’50s. One called the other a Communist. That was not true. The first one ended up in the White House, and the other one ended up in Ventura, California, flipping burgers in a snack bar. That’s life in America.